Fine Art at Nepean Arts and Design Centre: A new experimental artwork in the Trapezium Gallery! A new experimental artwork in the Trapezium Gallery! The annual experimental drawing project by students form the Diploma of Visual Arts is on again! 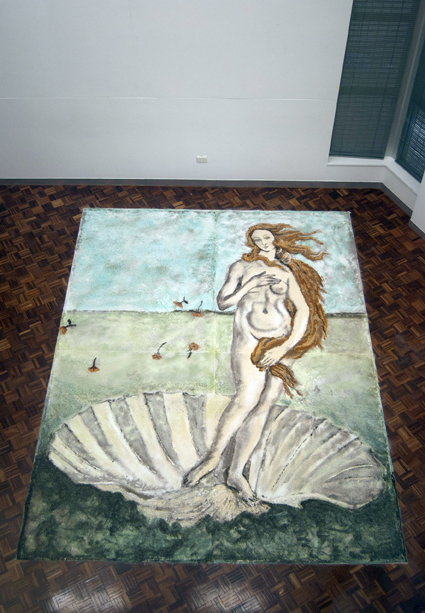 This year, the students have made a version of Boticelli's 'Birth of Venus' using maverick materials including rice flour, salt, jelly crystals, tumeric and more.